A recent trip to the coast on a sunny and windy day resulted in these images of shorebirds using rocky habitats. Two of these species are usually found on rocks, but the other two are not. 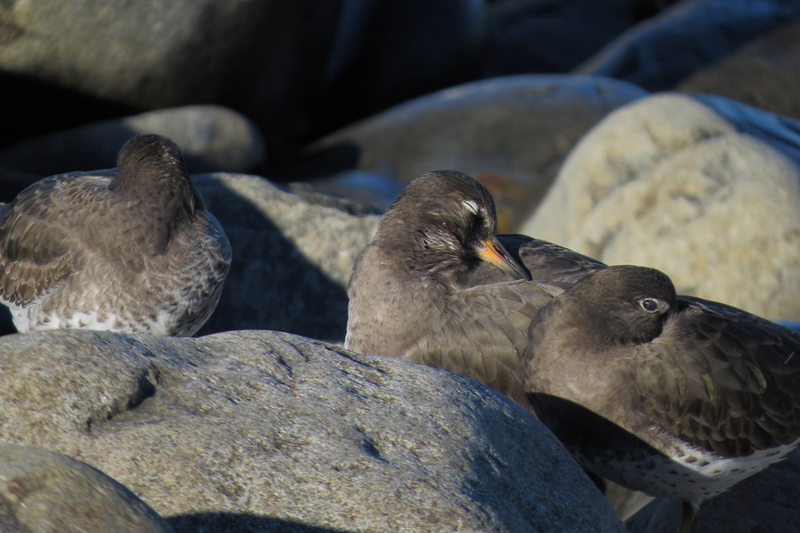 I wonder if the blowing sand had driven these birds to the relatively sheltered rocky areas. 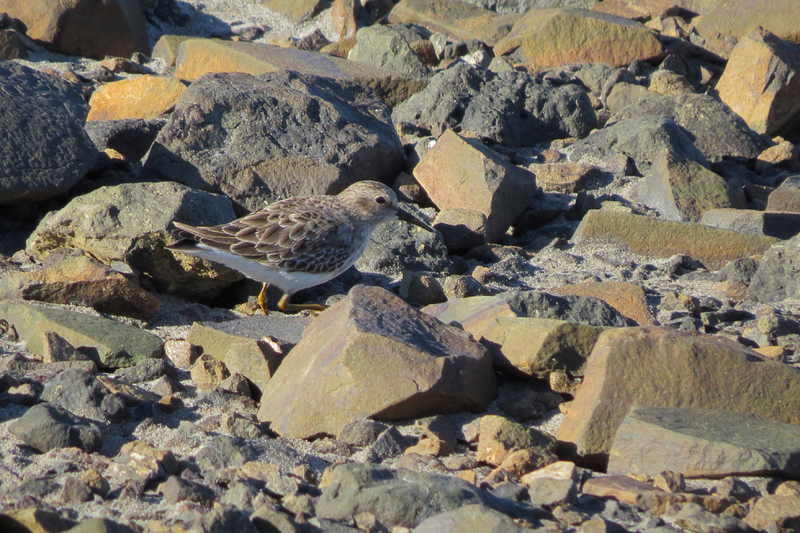 Least Sandpipers are hard to spot among the rocks. This bird was part of a small flock near the jetty at Fort Stevens. 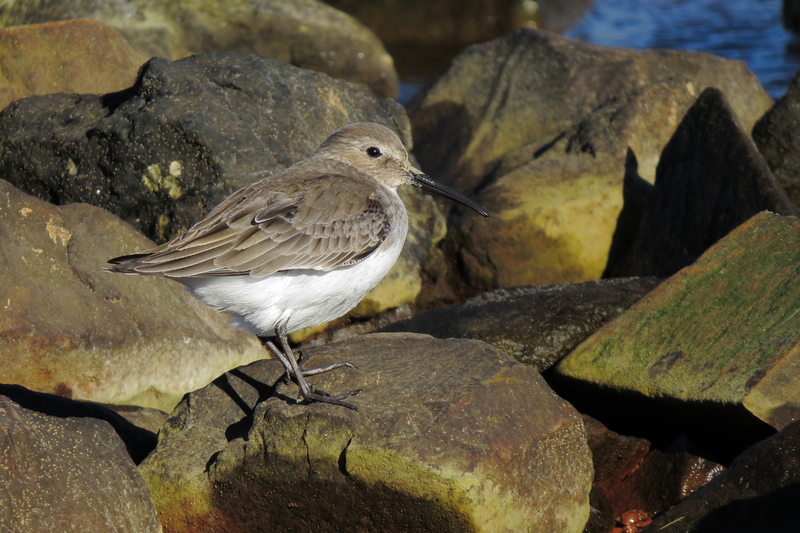 This Dunlin was hanging out on a line of rocks near the same jetty. I have seen Dunlin here before. Surfbirds at the Seaside Cove. Their color closely matches the dry basalt boulders. 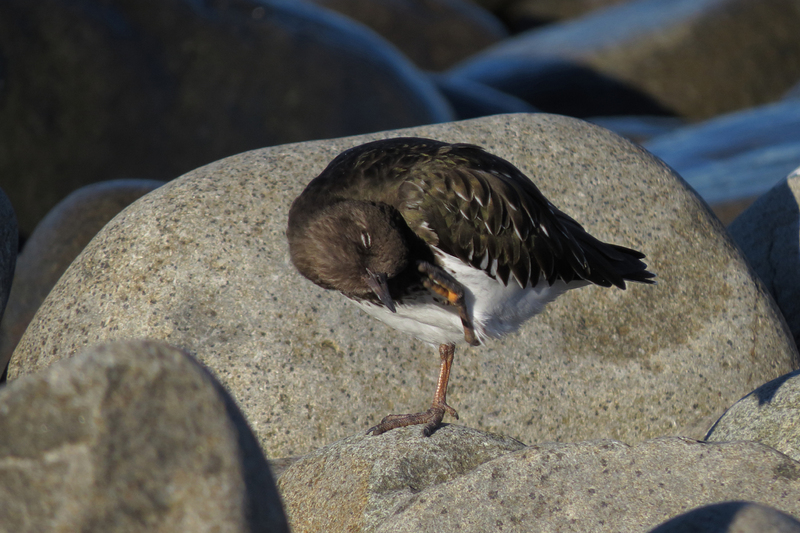 Black Turnstones are common winter residents at the Seaside Cove. 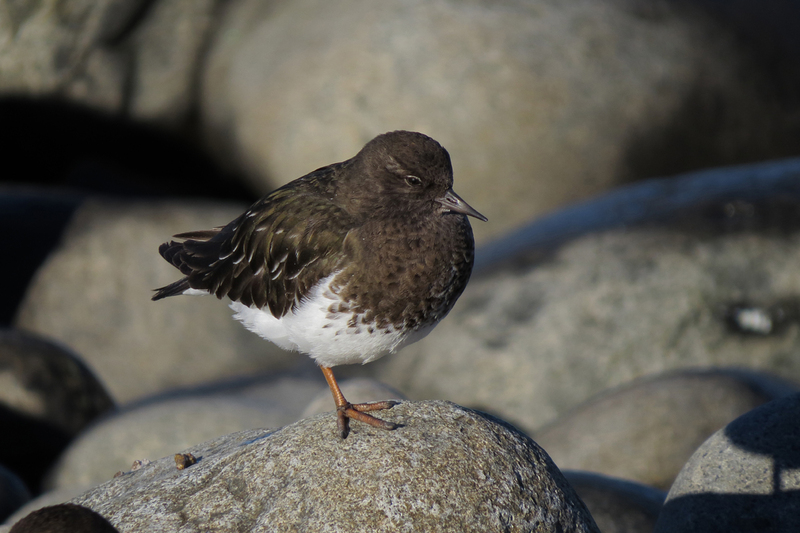 This entry was posted in behavior and tagged Black Turnstone, Dunlin, Least Sandpiper, Surfbird. Bookmark the permalink.